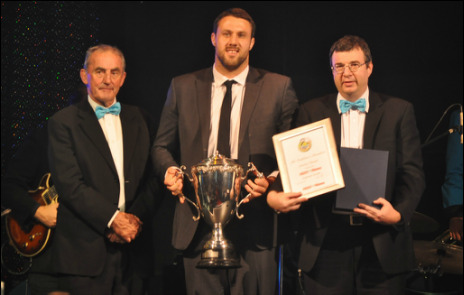 All Blacks rugby player Jeremy Thrush, Tui Sportsman of the Year went through to win the Supreme Award - Hutt News, Hutt City Sportsperson of the Year at a gala event on Thursday 14th May. Thrush was particularly recognised for his outstanding year in 2014, playing his way back into the All Blacks becoming Man of the March in the Scotland Test. 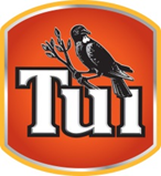 Thrush was also a loyal member of the Hutt Old Boys Marist Team that was the Bartercard Team of the Year and Coach Matt Lee was a finalist in the Pak n Save Coach of the Year category. 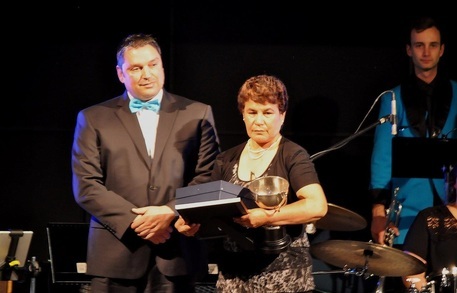 Trish Hina and Jill Westenra were inducted as Legends of Hutt City Sport. Finalists and winners of each category are listed below. The full photo gallery can be found here. 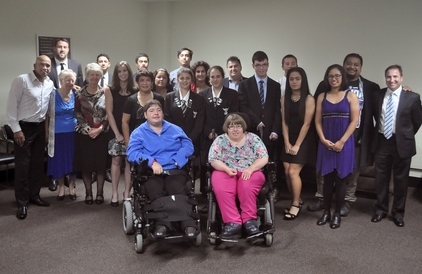 A selection of the 2015 Hutt City Sports Awards Finalists. Hutt News Hutt City Sportsperson of the Year Jeremy Thrush (centre) with Grant Davidson of The Hutt News. Kathy Cross (right) accepts the Official of the Year award from Gavin Murphy. 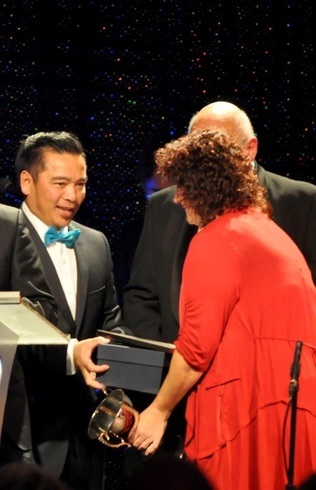 Tammy Ferreira (right) receives her award from Lower Hutt Deputy Mayor David Bassett (obscured). 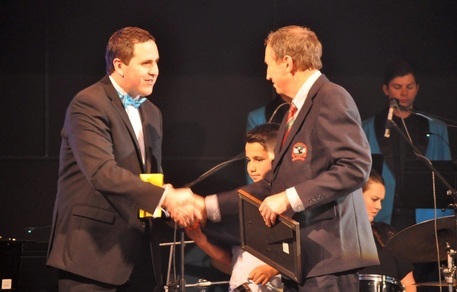 Aaron Lee presents Dave Rose of the Hutt Old Boys Marist Premier Rugby Team with the Bartercard Team of the Year award. 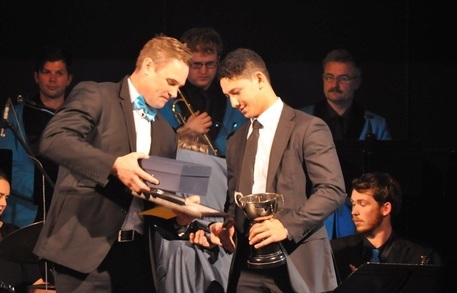 Rhys Casley with TJ Va'a (right), winner of the Peloru Trust Young Sportsman of the Year award. 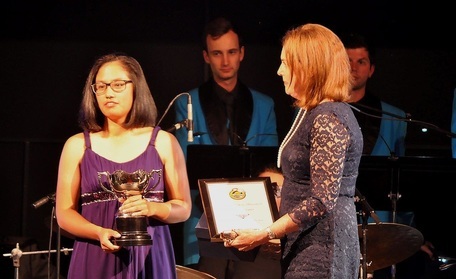 Julianne Alvarez (left) receives her award as the Hutt Valley DHB Young Sportswoman of the Year from Dr Virginia Hope. 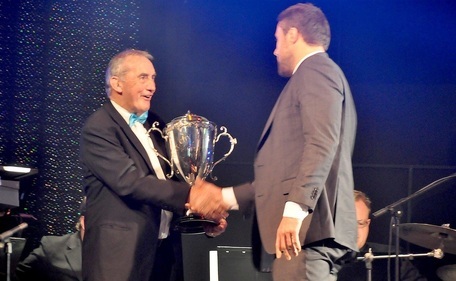 Jeremy Thrush (right) accepts the Tui Sportsman of the Year award from Andy Leslie. 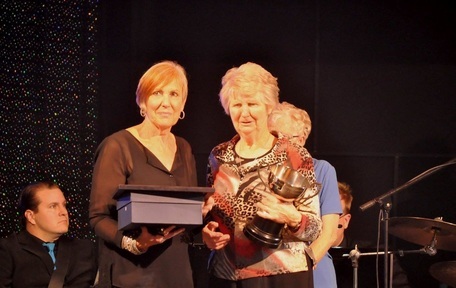 Michelle Dykes & Vicki Perez (obscured) present John Andrews (right), on behalf of Lara Andrews, the Crowe Horwath Sportswoman of the Year award. 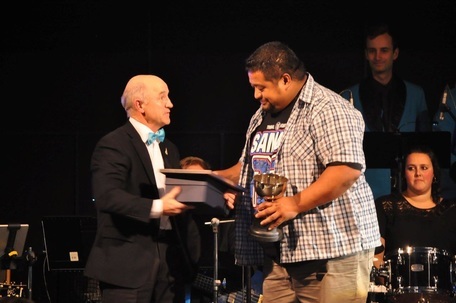 Leo O'Sullivan of Pak n Save Petone (left) presents Shaka Sola with the Pak n Save (Petone) Coach of the Year award.